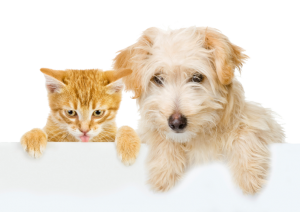 Pet licensing in Syracuse | Should You Adopt or Go with a Breeder? If you ask dog owners whether you should adopt a dog or purchase one from a breeder, you will likely get completely passionate – and completely opposite – opinions. This is one issue in which there is very little middle ground. But that’s exactly what dog owners should find: common understanding. You don’t have to agree with anyone else’s decision, but it’s important to separate fact from myth. Let’s do just that. Myth: Adoption is always better. Adoption is great, don’t get us wrong. Rescuing a pooch from a shelter gives him (and you!) a chance at a happier life. But there can be drawbacks. For instance, you do not always know the “history” of your pet. Where did he come from? Was he raised in an unstable home? Did he ever have a home at all? Retraining can be difficult. Myth: Breeding is always negative. Not so. There are a number of benefits to opting for a breeder. If you want a specific type of dog, you can get what you need without compromise or waiting. Breeders also provide the papers you need if you want to show your dog. A reputable breeder works hard to ensure pups are as free of disease as possible and that they develop predictable, breed-specific traits. Additionally, they should offer certifications for healthy hips, joints, and eyes. The truth is that both options have pros and cons, and you have to make the decision that feels best for you. Myth: Purebred dogs don’t live as long. Well… this isn’t entirely true. Researchers have found that while there are certain conditions more likely to strike purebreds (such as cardiomyopathy and cataracts). Mutts, on the other hand, were more likely to suffer from ruptured cranial cruciate ligament (ouch! That’s a torn knee ligament). Both purebreds and mutts were just as likely to have hip dysplasia, certain types of cancers, and other illnesses. Myth: Mutts are calmer. We’ve seen some relaxed mutts in our day! But we’ve also seen purebred pups that were as cool as cucumbers. And vice-versa. While genetics and breed characteristics do play a role in temperament, a much greater influence is how the dog is raised. If you train your dog and provide him with ample love, attention, stimulation, and exercise, you render this point moot. Myth: Breeders Cause Pet Overpopulation. Again, this is not entirely true. Puppy mills, not reputable, caring breeders, contribute to overpopulation, as do owners who do not spay or neuter their pets. Responsible breeders care for their dogs and ensure they go to good homes. At the same time, rescuing a dog from a shelter can save his life and prevent overcrowding. It’s a judgment call – for you. No one else should judge your decision. You can find middle ground: increasingly, there are purebred rescue groups. If you have your heart set on an Alaskan Malamute, for example, you can find organizations which rescue them and facilitate re-homing. This may be a compromise that allows you to adopt the breed you want and decrease the count of shelter dogs by one. This will hardly settle the debate; many people remain passionately opposed to breeders, and others are equally ardent proponents of purebreds. What matters more, though, is how you treat your dog once you get him home.